BEN WELBORN & TIFFANY SPENCER: $15M Hanalei Beachfront Property Sold in Record 7 Days! 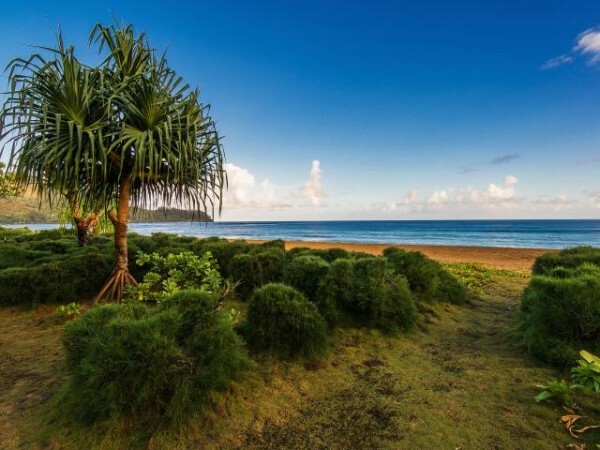 $15M Hanalei Beachfront Property Sold in Record 7 Days! Rare (adjective): Not found in large numbers. Unusually good or remarkable. That’s a perfect description of the oceanfront Hanalei Bay property listed at $15M that just sold in seven days (MLS# 258835). “Not found in large numbers,” for sure, because there’s only so much beach frontage surrounding Hanalei Bay, and “remarkable,” because whether you’ve lived on Kauai your entire life – or are seeing it for the very first time – the beauty of Hanalei takes your breath away. The speed at which this property sold did leave me slightly breathless – we had an accepted offer within a week, and the sale closed three weeks later at $13.35M. But I wasn’t surprised, because this buyer recognized a once-in-a-lifetime opportunity to create a unique Hanalei Bay estate. Gems like this can be snapped up before they’re ever posted on the MLS. (In fact, Kauai County purchased the last undeveloped oceanfront Hanalei parcel a couple of years back.) And this property – 1.07 acres with 160′ of beach frontage – was not only located in the most pristine section of Hanalei (down a private drive with no thru traffic), but it qualified for two homes and two guest houses.